I’ve really enjoyed playing that “dead or alive” game lately. This time when I spun the wheel of death, I landed on Sinead O’Connor. Yup, she’s alive. 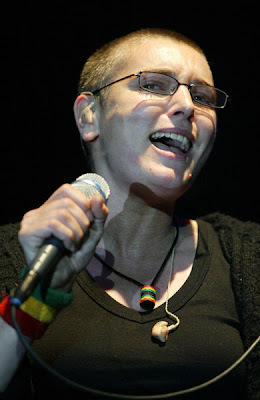 It’s good to see that Sinead hasn’t really changed all that much. 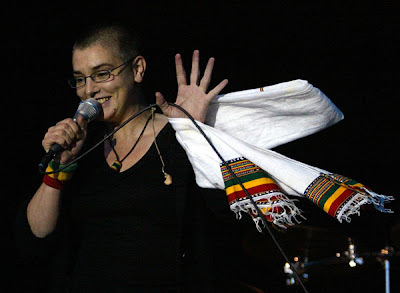 This time around Sinead was singing at the Green Energy festival that took place in Dublin, Ireland. I have no clue what songs she could possibly be singing as I only remember one and I’m almost positive it was called “Bailamos.” Yup, it was. 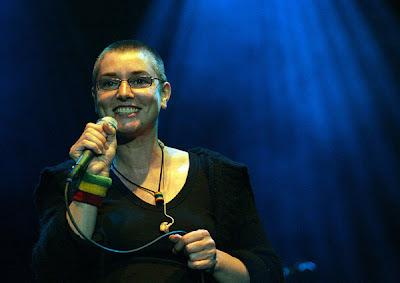 Anyway, while Sinead’s hair is just as short (the original Britney) I’ve noticed that she really kicked up the yellow on her teeth a notch or two. Good for her. I say the more yellow the better. Hopefully she’s chain-smoking so that the yellow really starts to pop. You Won't Believe What Sinead O'Connor Looks Like Today!